There are so many different ways that companies are conducting interviews these days that it begs the question: Should there be different steps in the interview process? Some will say the process depends on the size of the company…others will say it depends on the level of the position. But too many times either a vital step is missed or more steps are added that complicate the process and may end in loosing a candidate or having to re-hire again because a candidate didn’t work out. 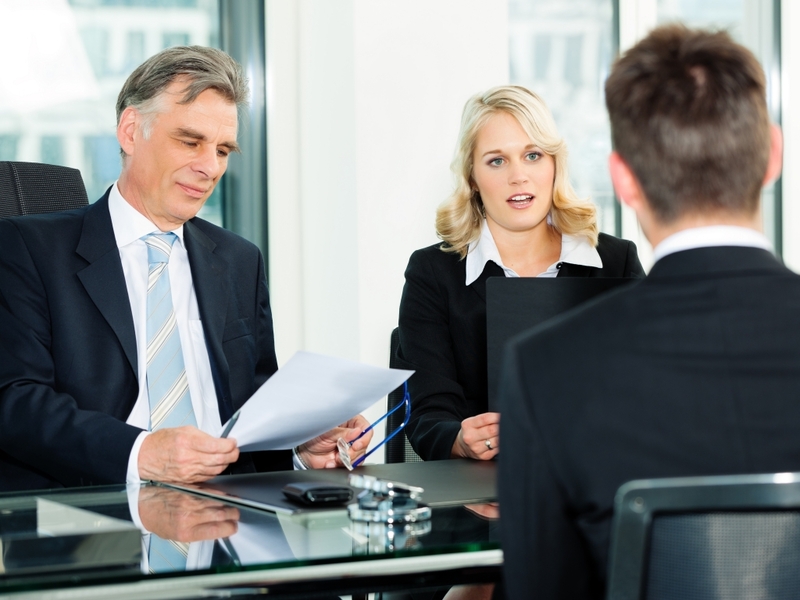 Not knowing the best way to approach the interview process is really no one’s fault. The Art of Interviewing is a topic discussed with Jobseekers but never have I seen it as a topic taught from the Interviewer’s perspective. Like with any HR or Management position, it is just “assumed” that you will know how to interview because you have achieved those roles in your career. And this is where I have seen mistakes be made. You have may a process that works well for you and your company….and congratulations if you do! But for those that find themselves wondering if it could be better or struggling with always seeming to hire “problem” employees that aren’t discovered until after the fact, here is a breakdown that hopefully will help you. For some people, they think the Phone Interview is a waste of time and go right to bringing the candidate in for an in-person interview. However, you are missing a key opportunity especially if this is a candidate that will be working on the phone in any capacity with your customers. The main purpose of conducting a phone interview is to hear the person’s phone etiquette. Are they quiet and timid or are they hyper and interrupting? Do they speak clearly? Do you perceive any attitude when they are answering you that your customers may misinterpret? Questions are by the Interviewer are typically: questions about the current job that they have, what interested the candidate about your job opening and the “why do you feel you are a fit for this job?” Based on the impressions over the phone, you decide whether or not to go to Stage 2. Here is where many Managers just don’t understand why HR has to get involved to interview. After all, when it comes to doing the job (especially if it is technical or specialized) how can HR really be a good judge about who would be a “good hire” and who wouldn’t? The purpose of the “first interview” is not to find your ideal candidate right off the bat, but to serve as a “gatekeeper” to weed out all of those that may not be a good representation of the company or a fit with the company’s culture. Are they thoughtful when answering questions about their background? Do they show they can think on their feet when asked questions about past problems they have encountered? Are they a personality a fit for the company and how it projects itself to its customers? Would they bit a fit with the other employees? Are they looking for more career-wise than the company is able to offer to where they may become dissatisfied quickly? What are their reasons for gaps, changes in career, leaving previous employers? They made it past the “check the box” on their resume to get the interview, but now it’s time to see how they answer questions about their experience and aspirations to see if – personality-wise – there is a match with your company. When HR finds the candidates that they feel fit this requirement, now it’s time to get into their specific skills and experience to see how it relates to the job you are looking to fill. This is where the Manager gets to focus just on the candidate’s background and skills to ask questions to see if they will be able to fill the job you are looking to fill. Don’t waste your time with some of the typical questions you can find on the Internet such as “Where do you see yourself in 5yrs?” Remember, that’s the type of questions your HR person has already asked to see if they would have a future with the company. Let’s face it – you are looking for that employee that can hit the ground running right after their first day, so use this time to uncover if they will be able to work with you (as their manager) and do the job efficiently so you can quickly make a choice on your new hire. Today’s jobseekers often wonder if companies ever do call on references before hiring them and, in all honesty, many companies don’t…mainly because they don’t think it will get them any insight into a candidate as they are expecting. So, as a result, jobseekers don’t want to share references in the early stages of interviewing (and they really shouldn’t be required to) and employers aren’t taking the time to do their research. With social media today, there are so many ways to “reference check” an employee to see if they would be a good hire. Many candidates will have LinkedIn accounts that allows you to see not just their resume, but more about outside activities such as: volunteer positions and articles published, not to mention how professionally they work to appear online (is their photo professional or questionable?). Same can be said for Twitter, Facebook, Instagram….anything that is set to “public” that you can see – your customers and clients will be able to see to. But don’t discount the phone inquiry! Yes, there are companies staying away from offering reference checks because of implied legal retaliation, but some are still willing to share especially if it was a great employee that they were sorry to see go. Just stay away from family and friends as references. Even students can offer teachers as references that will give you more of a peek into their personality and ethics. And don’t pressure an employee to give you a reference from their current employer unless you have already extended a job offer. Ask for past supervisors and even subordinates. You will already have an idea if you want to hire the person or not before you make the call so keep the conversation on how well they carried out their job, how they got along with others, did they have ideas to bring to the table, etc. Next postPoaching: Is It Just Business or Vengeance?